Hino, R., Y. Yamamoto, A. Kuwano, M. Nishino, T. Kanazawa, T. Yamada, K. Nakahigashi, K. Mochizuki, M. Shinohara, K. Minato, G. Aoki, N. Okawara, M. Tanaka, M. Abe, E. Araki, S. Kodaira, G. Fujie and Y. Kaneda, Hypocenter distribution of the main- and aftershocks of the 2005 Off Miyagi Prefecture Earthquake located by ocean bottom seismographic data, Earth Planets Space, 58, 1543-1548, 2006. Hirata N. Hagiwara, H; Igarashi T., Sakai S., A detailed tomographic image of the Philippine Sea plate beneath the Kanto district, central Japan, by dense seismic array observation, The 12th International Symposium on "Deep Seismic Profiling of the Continents and Their Margins", Hayama, Japan, September 24 - 29, 2006a. 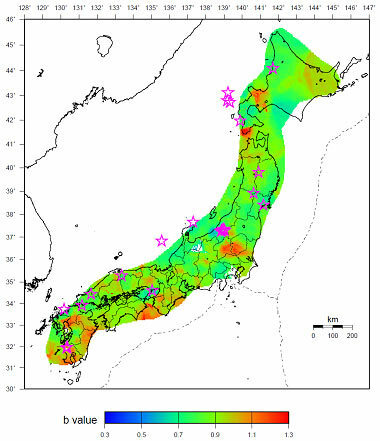 Hirata, N., H. Sato, K. Koketsu, H. Hagiwara, F. Wu, D. Okaya, T. Iwasaki, K. Kasahara, Mega-thrust and Intra-slab Earthquakes Beneath Tokyo Metropolitan Area, Eos Trans. AGU, 87(52), Fall Meet. Suppl., Abstract S31C-03, 2006b. 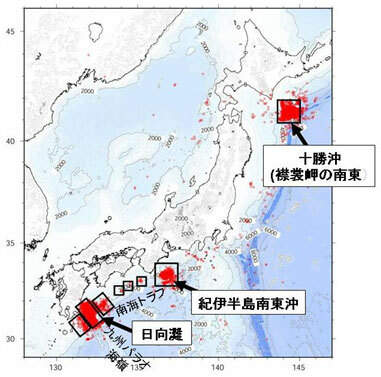 Ito, Y., K.Obara, K.Shiomi, S. Sekine and H. Hirose, Slow Earthquakes Coincident with Episodic Tremors and Slow Slip Events, Science, 315, 503-506, 2007. 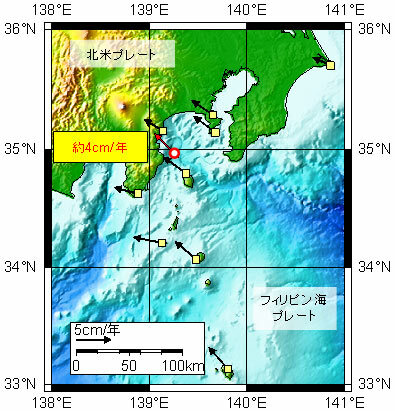 Matsumoto, Y., M. Fujita, T. Ishikawa, M. Mochizuki, T. Yabuki, and A. Asada, Undersea co-seismic crustal movements associated with the 2005 Off Miyagi Prefecture Earthquake detected by GPS/acoustic seafloor geodetic observation, Earth Planets Space, 58, 1573-1576, 2006. Panayotopoulos, Y., N. Hirata, H. Sato, A. Kato, K. Imanishi, I. Cho, Y. Kuwahara, Seismicity and Crustall Structure Along the Southern Japanese Alps Segment of the Itoigawa-Shizuoka Tectonic Line, Eos Trans. AGU, 87(52), Fall Meet. Suppl., Abstract T42B-01, 2006b. Panayotopoulos, Y., N. Hirata, H. Sato, T.Iwasaki, A. Kato A., K. Imanishi, I. Cho, Y. Kuwahara, Seismicity and crustal structure along the southern Japanese Alps segment Itoigawa-Shizuoka tectonic line, The 12th International Symposium on "Deep Seismic Profiling of the Continents and Their Margins", Hayama, Japan, September 24 - 29, 2006a.